From then on go to the website of BET or use their app if supported. Please see supported devices between BET and Unlocator at the bottom of this page. 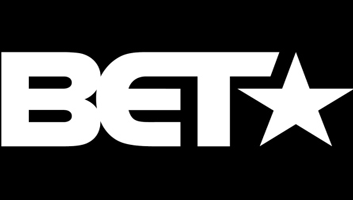 BET, Black Entertainment Television, is a leading television network aimed at African American audiences. The yes to black channel has a lot to offer its viewers from shows like Hit the Floor and The Grand Hustle to the latest celebrity news and hottest fashion/beauty trends. This channel is home to hip-hop music, entertainment, and African-American news and is based in the US with offices in Washington, D.C., New York City, Los Angeles and Chicago. The popular TV channel is only available in the US and can only be accessed by residents located within its borders. So if you’re looking for a way to watch BET outside the US, you’ve come to the right place. Unlocator is what you’ll need to watch BET wherever you may be. Start up and sign up for a free Unlocator account here. First, create your Unlocator account. Once done, setup Unlocator DNS on the device you wish to unblock BET Network on. Follow the tutorials/setup instructions provided to you by Unlocator for guidance, and you’ll be all set. Now, you get to watch BET in any country around the world at anytime. How To Sign Up With BET Network Outside The US? Even if you get BET unblocked, you’d still need a valid US cable subscription to stream its content. Unfortunately, Unlocator can only get you so far as there’s no way of signing into the BET Network website without a cable subscription.